This week the issue of Islamophobia has reared its ugly head again. On Tuesday, it emerged that Tory supporters were targeting the home secretary for his Muslim background. On Wednesday, it was announced that the government rightly sacked its housing advisor, Roger Scruton, for denying that Islamophobia existed and making antisemitic statements. Clearly, we have some work to do when it comes to convincing public figures and the right-wing masses that far-right sentiments like these are a plague on society. Since the Christchurch terrorist attack, mosques and Islamic centres in the UK have been attacked with sledgehammers, have had suspicious packages placedoutside their doors, have been vandalised with copies of the Quran burnt, and a young man was stabbed and subjected to racist and anti-Muslim abuse in Surrey; an incident police are described as “inspired by the far-right”. These incidents are just a few out of many. This is not an entirely new phenomenon, and we have been the victims of far-right vitriol many times. In the last three years we have had three major threats towards me and our women’s centre in Haringey, including vile racist abuse and more recently, threats of arson. We have received calls at our centre threatening to “slit our Muslim throats” and many Muslim women have spoken to us about their experiences pre-2019. These include having bacon thrown at them and being told to go back to their own country, having their hijab pulled off in public, being spat at and having bottles thrown at them. One young niqabi woman told us about her traumatic experience in 2017 where she was physically attacked in broad daylight by a group of men in Leeds. When we spoke to Muslim women about their experiences as part of our research into hate crime, we found that a lot of these hate incidents were occurring on public transport. Was enough being done then to stop far-right abuse on public transport by the TFL or the police? Have these issues been taken on as a matter of urgency? And if these incidents were Isis-inspired, would they have remained so under the radar? Many politicians, institutions and news outlets have paid the issue lip-service and have expressed their shock when racist and/or Islamophobic incidents occur, however, the true severity of where it was coming from and what was happening was not grappled with. A popular refrain that comes to mind goes something like, “This has no place in our society” – unfortunately, it has had a chilling presence in our society for many years, and it’s about time people acknowledged that so it can be tackled properly. 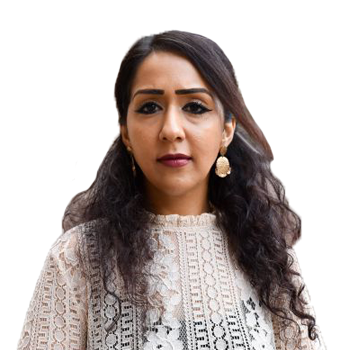 The rise of Islamophobia has been aided by various local and national politicians, institutions, the mainstream media and social media platforms. The mainstream media has long been criticised for encouraging Islamophobia, or downplaying it. Boris Johnson famously mocked the way many Muslim women dress last year, and more recently several Conservative councillors have been caught making various racist and Islamophobic comments. Social media companies have been criticised for not taking extremist far-right content off their sites, but they don’t seem to take the threats seriously, nor do they seem committed to actioning the appropriate policies and tools to effectively deal with the issue.